Vitamins & Minerals : Are Your Children Getting What They Need? Children need various important nutrients for proper growth and development. Getting essential vitamins and mineral helps children to have a good level of energy and fight with bacteria and virus. 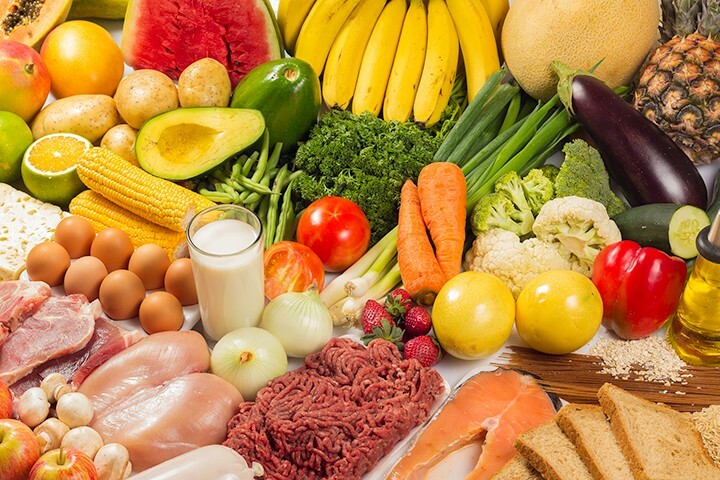 Adding foods full of vitamins and mineral promote the immune system and helps in normal development and growth of organs and cells in children. 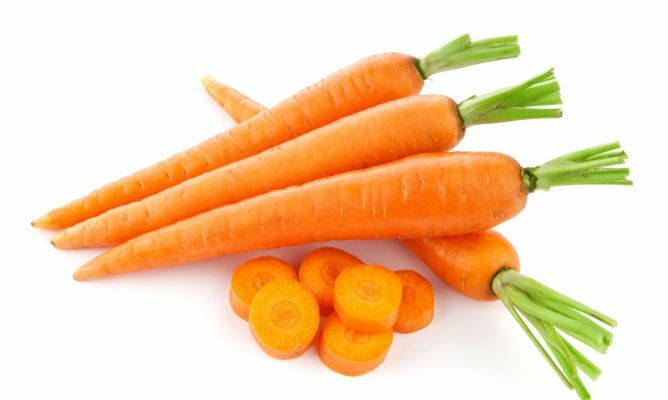 For example, eating carrots contain carotenoids which get converted into vitamin A by your body and it helps in preventing eye problems. Vitamin A is an essential element for the development of a growing child. It is helpful for good vision, bone growth and regulates immune system by fighting bacteria and infections. This vitamin is very important for the growth of the eye’s surface linings. Additionally, it helps intestinal, urinary and respiratory tracts. Vitamin A is a kind of micronutrient and dietary component. It is one of those vitamins which body need in a small amount in everyday life for improvement and preventing diseases. The micronutrients are obtained from the diet and turned in essential nutrients as vitamin A. Its main effort is to support vision health, bone growth, cell division, reproduction, and cell differentiation. There are several sources available to get the vitamin A, but two of them are more preferred such as beta-carotene and retinol. Retinol also describes as ‘true’ vitamin A because your body can use it directly. Beta-carotene is another type of vitamin A. Your body needs an enzyme to convert this vitamin into the retinol form to get absorbed by the body. How much vitamin is enough for your child? Try to include the suggested amount of vitamin A every day in your child’s diet. Vitamin B is a type of water-soluble vitamins which are essential for cell metabolism. These vitamins own similar names, but they are a chemically different compound which often co-exists in the same foods. It helps to promote muscles and nerves in children. It is essential for children to break down the carbohydrates in energy. The riboflavin vitamin helps to promote the red blood cells production in the children body. It assists in energy production and digestion. The vitamin niacin helps to convert the carbohydrates and fats into the energy. It is essential for the digestive system and nervous system functioning in children. It also boosts healthy skin in children. It is necessary for carbohydrates and fats metabolism. It helps to produce adrenal hormones and red blood cells in children. The pyridoxine vitamin assists in brain development of children. It supports to release the brain chemical such as serotonin which controls norepinephrine, moods and manages stress levels. Another work of this vitamin is to manage the immune system and the nervous system in the children. It is a vitamin of biotin which is necessary for cholesterol metabolism, fatty acids, and certain amino acids. It stimulates healthy hair, nails, and skin in children. 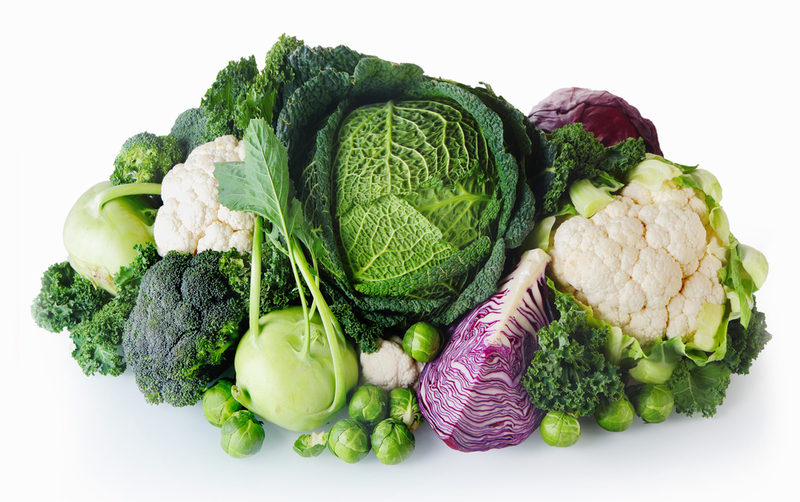 The folic acid is important for red blood cells formation in children. It helps in DNA production and healthy cell growth. The vitamin B12 assists in red blood cell formation in children by supporting the brain and nervous system in children. How much Vitamin B is enough for Children? There is a different amount of vitamin B suggested for different age children. Children age below four years can consume RDA – Recommended daily allowances of vitamin B. How to find Vitamin B? Here are the signs that your child is getting vitamin B deficiency. Children will have unusual fatigue, anxiety, and irritability. Children may encounter beriberi disease and epilepsy. Vitamin B2 can induce mouth dryness, tongue soreness, skin rashes, light, and eye pain. Vitamin B deficiency also triggers dermatitis, diarrhea, nausea, weakness and abdominal pain, depression and poor concentration. It can cause gastrointestinal disorders, neonatal defects in pregnancy. Your child may also have symptoms of numbness, tingling sensation, megaloblastic anemia, weak muscles, poor blood formation, and developmental delays. Vitamin C is ascorbic acid available in fruits and vegetables. It is a great water-soluble vitamin and antioxidant which helps to develop and manage the connective tissue such as blood vessels, bones, and skin. Vitamin C helps to restore and repair the body tissues. It preserves the heart from diseases and assists in iron consumption. It also helps in decreasing bad cholesterol and triglycerides. 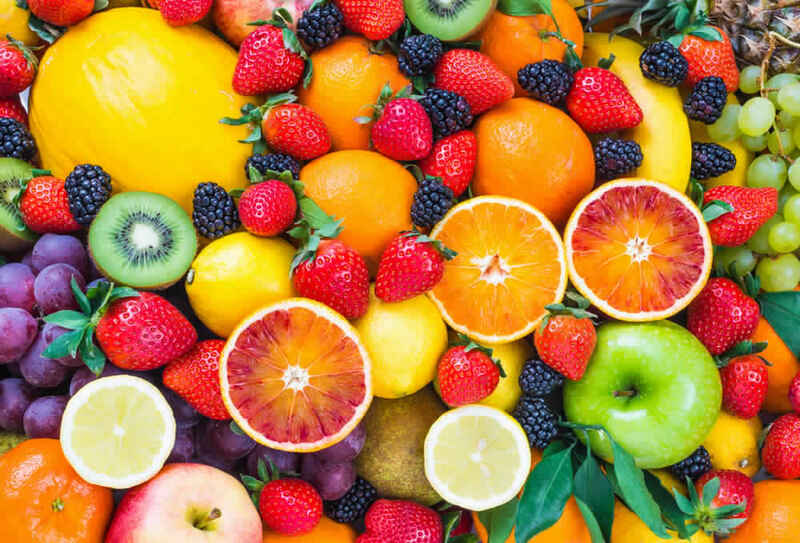 According to research, vitamin C guards against different cancer by fighting free radical and neutralize the nitrites effects which found in packed foods. Vitamin C supplement decreases common cold symptoms and stimulates the immune system. Why Vitamin C is essential for your child? Your child must get vitamin C as it repairs and forms red blood cells, tissues and bone. It also helps in strengthening the gums of your child and reduce the effect of bruising from scrapes and fall. Additionally, adding vitamin C in your child’s diet helps to heal the wounds and cuts faster and promote immune system. It keeps infections away in everyday life. How much your child needs vitamin C? Vitamin deficiency is rare you can find vitamin C in many foods. Still, some children are picky when it comes about eating, those children eat very few foods and lack nutrition. Vitamin C also repair the damaged cells exposed by indirect smoking. Pineapple is all great sources. If you still find your child is getting vitamin C deficiency than talk to your health care provider. Vitamin D is an essential fat-soluble component which available naturally in few foods and sunlight produced by ultraviolet rays. You can get vitamin D from morning sunlight which triggers vitamin D structure in skin cells. The vitamin D initially occur in the liver and transform into vitamin D to 25 (OH) D hydroxyvitamin. It also describes as calcidiol. 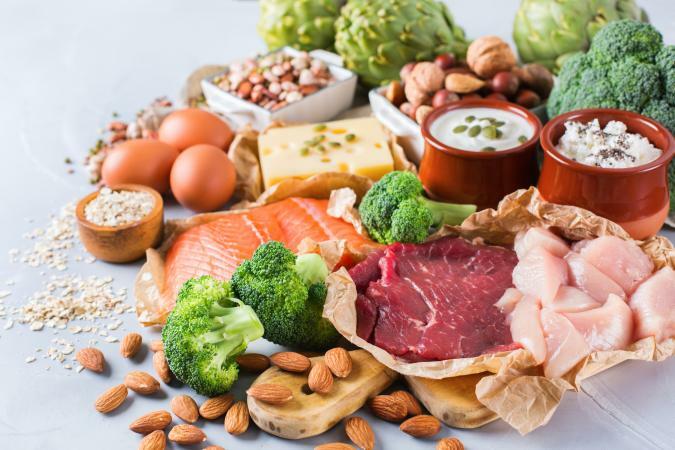 The second form of vitamin D occurs in the kidneys and convert into physiologically active that is [1,25(OH)2D]1,25-dihydroxy vitamin D which also describes as calcitriol. Vitamin D is important for children to build strong bones and heal any surgery or injury. Here are the essential sources of vitamin D.
Our body produces vitamin D when our skin gets exposed to the sun. Sometimes it is hard to get the vitamin D from the Sun if your child stays most of the time indoors home or at school. Morning sunlight is good for getting vitamin D. Try to avoid harsh sunlight which can cause melanoma and damage the skin cells. There are only a few foods which comprise vitamin D naturally. The foods such as fish oils and fatty fish, eggs, yogurt, and milk include vitamin D which usually children skip eating. How much vitamin D is enough for children? An infant age with 12 months year – 400 IU (international units) or mcg (micrograms). Children age above one year need 600 IU or 15 mcg per day. Everyday vitamin D is not required, but your child should get the recommended amount over the week. Vitamin D is described as the sunshine vitamin because the human body can create it when the skin gets exposed to sunlight. But children are unable to produce enough vitamin D because of sunscreen or covered cloths which block the sun rays. There are some other obstacles which stop vitamin D production from sunlight which include clouds, smog, geographical location, and dark skin. According to research spending, 5 to 30 minutes in sunlight during 10 am to 3 pm help to get the vitamin D.
Expert says that harsh and constant UV radiation from the sun causes skin cancer. You need to protect against skin cancer and seek vitamin D from other sources if you have skin problems. The American-Academy-of-Paediatrics suggest that infants, teens, and children should consume vitamin D supplements about 400 IU per day. Children who are unable to chew vitamin can consume liquid supplement. The parent should take care of the health of children. When it comes vitamin D deficiency in children, the parent should make sure to check with a doctor. Add fortified milk to get the vitamin D. Here is the list of vitamin D food. The parent should make sure that their children are getting enough vitamin E. It is vital for promoting the immune system and eliminating bacteria. It keeps blood vessels open for good blood flow and holds cells together to perform all the functions in a precise way. 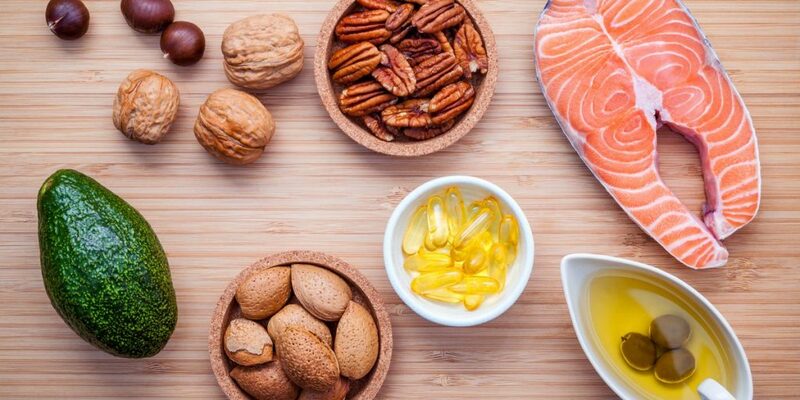 How much vitamin E enough for children? Children age with 1 to 3 years need 6 mg or 9 IU vitamin E per day. Children age with 4 to 8 years need 7 mg or 10.5 IU vitamin E per day. Most of the children won’t get enough vitamin E from only their diet and get vitamin E deficiency health problems. How to get vitamin E? 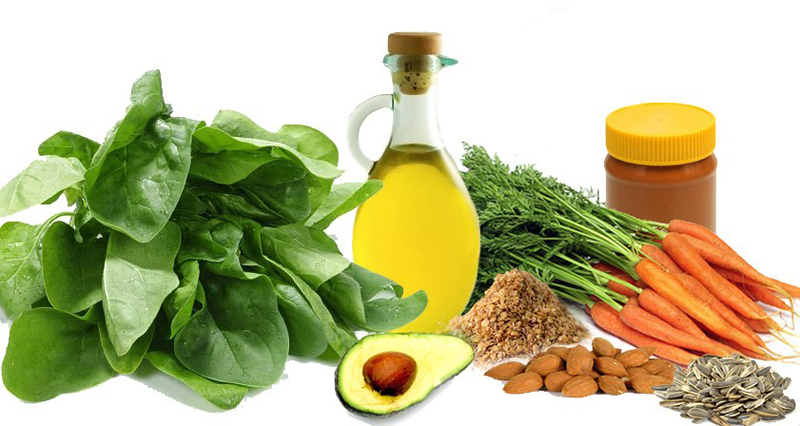 Here are the sources of vitamin E.
Magnesium is a rich mineral which available in foods we eat. It is also available in medicines such as laxatives and antacids. Magnesium is a non-protein chemical in more than 300 enzyme system which is responsible for the following function in the body. Magnesium consumption essential for energy production, glycolysis and oxidative phosphorylation in the body. It helps to provide structural growth of bone and assist for the structure of RNA, DNA, and antioxidant glutathione. Magnesium also responsible for transporting potassium and calcium ions over cell membranes which is an important process for muscle contraction, nerve impulse conduction, and normal heart rhythm. How much magnesium children should get? Children age with 4 to 8 years require 130 mg magnesium per day. You can maintain your child magnesium intake as the suggested amount as a course of a week. 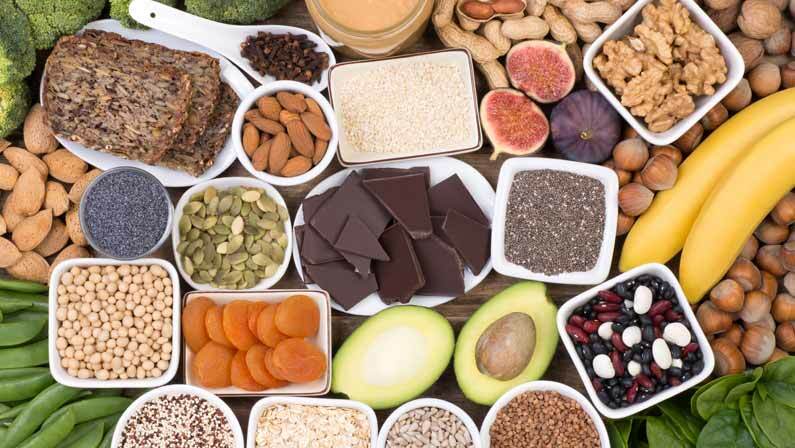 Magnesium deficiency may occur due to several reasons but most of the time children get an encounter with a poor diet because of low nutritious food. Other factors which contribute to magnesium include intensive activity and stress. The parent should not ignore a child’s health because they also get affected by anxiety and stress which can be seen in different types of behaviors. When your child constantly gets irritated, then it’s not just a tantrum triggered by the sugar, but it should be specifically linked to the foul mood which is more common. Try to review your child food diet and check if the diet is providing enough magnesium. Your little ones feel very anxious about their school and other things as if something is bothering them. It can be about their weekly project or timetables. More anxiety over friends, school, sports can be a sign of magnesium deficiency. Other signs of magnesium deficiency in children include teeth grinding, restlessness, noise sensitivity, and muscle spasms, cramps. Calcium is an essential mineral. It is important for life and building bones and helps teeth health. It also supports other body functions. Calcium keeps the heartbeat normal. It makes muscles and nerves working by enabling blood clots. Bones and teeth contain approximately 99% of calcium which is important for further bone functions. In our daily life, we lose some calcium through nails, skin, hair, urine, sweat, and feces. 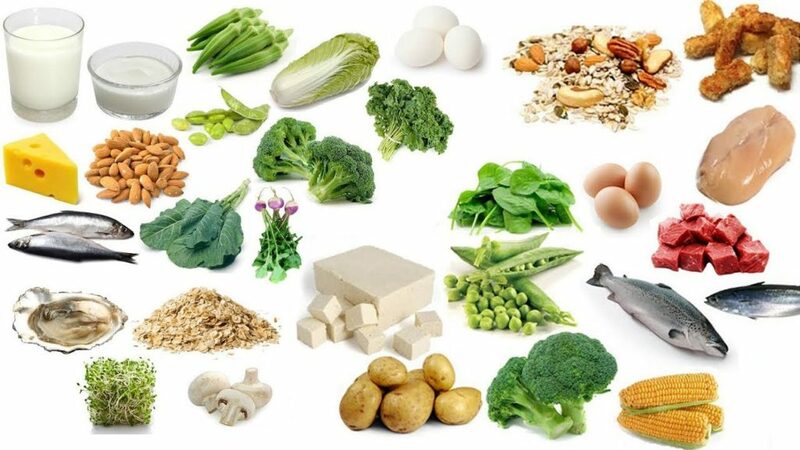 The human body cannot produce own calcium, so it’s important to get it from calcium-rich food. When our food lack calcium, our body start to extract the calcium from our bones. It is fine sometimes but if your body continues to take calcium from bones than your bone becomes weak. Children bones are under development, so they need an adequate amount of calcium. Everyone gets a good chance to develop strong bones during childhood. Children who get a good amount of calcium in childhood can able to live with strong bone in adulthood. Getting calcium in childhood helps to prevent bone loss in further life. Calcium also helps babies to prevent an ailment called rickets which diminishes the bones and leads to bow legs, weak muscles, and stunted growth. Dairy product’s fat portion doesn’t change the calcium content. Whether you have whole milk or skim milk, it will provide the same amount of calcium. Check with your health specialist to know the right type of milk your child needs. Kale, Broccoli, Chard, Spinach, chard, collard greens, and cabbage. Even calcium available in bread, cereal, juices. How much calcium your child need? Calcium measurement happens in mg (milligrams), and everyone needs a different amount of calcium at a different phase of life including childhood. 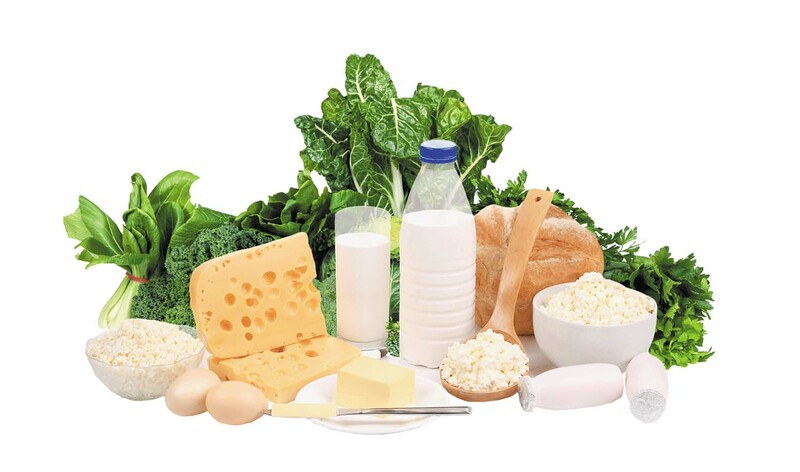 It is healthy if your child gets sufficient calcium from the foods. In case your child is not getting a good amount of calcium then your doctor may recommend calcium supplements. Babies age below six months needs 200 mg calcium per day. Babies age of 6 to 11 months requires 260 mg calcium per day. Give only breast milk to babies younger than 1-year-old and avoid giving cow milk or another formula. Kids and teens require more calcium to support their growing bones. Kids and teens age with 9 to 18 years – 1300 mg calcium per day. Babies and young kids can easily get enough calcium from breastmilk and a healthy diet including dairy products, but preteens may require more calcium foods in daily food intake. Prepare parfaits with plain yogurt layer with whole grain cereal and fruits. Make smoothies with low-fat milk, fresh fruits or calcium-fortified almond or soy milk. Use sugarfree or fresh apple butter with yogurt or cottage cheese. Combine a drop of chocolate syrup or strawberry to milk. Avoid readymade milk which contains more sugar and flavors. Use low-fat cheese by sprinkling over meals and snacks. Try mixing white beans with soups. Sprinkle seasame seeds over baked vegetables. Substitute peanut butter with almond butter. Use edamame as a snack. Serve cereals or salad with a topping of silvered almonds or chickpeas. The children who don’t eat much dairy product may lack calcium. If your child has a milk sensitivity or lactose intolerance, then speak to your doctor for calcium supplement. Iron is significant for the creation of hemoglobin. Hemoglobin work is to provide oxygen and present to other cells in the body. The decline is hemoglobin can limit the healthy RBCs production. Iron insufficiency can lack oxygen supply to tissues, muscles, and cells. How much iron consumption required in children? Babies have iron in the body after birth, but they need an adequate amount of iron to fuel their rapid development and growth. Here is the recommended amount of iron intake in children. The above vitamins and minerals are important for children growth and development. If your child is not getting enough amount of vitamins and minerals try visiting your doctor and talk about supplements if required. Try to add good and healthy foods in your child’s daily intake which can keep your child healthy.